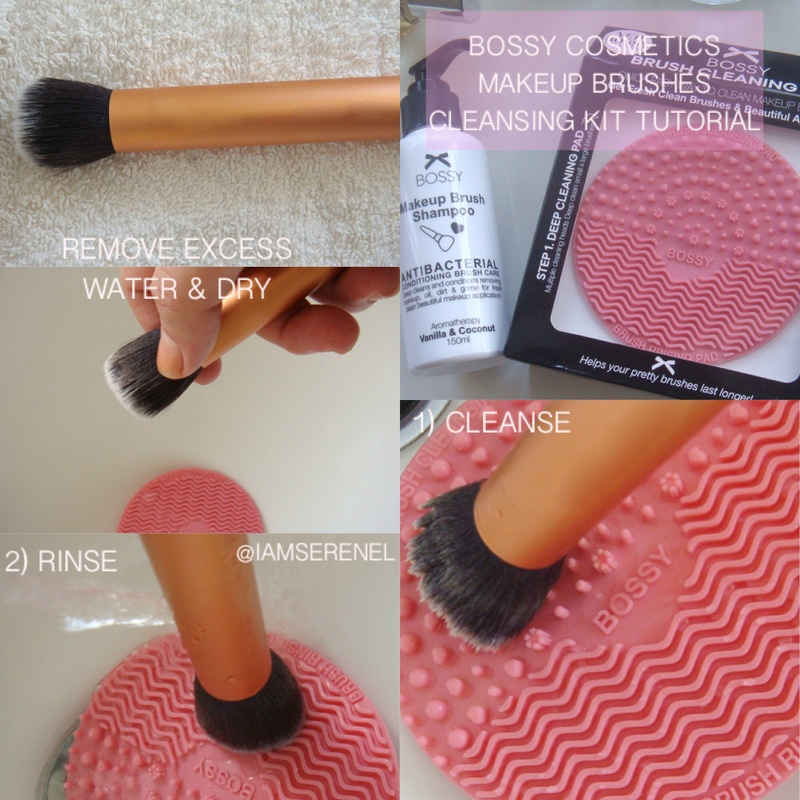 |BOSSY COSMETICS|Makeup Brush Cleansing Kit REVIEW! 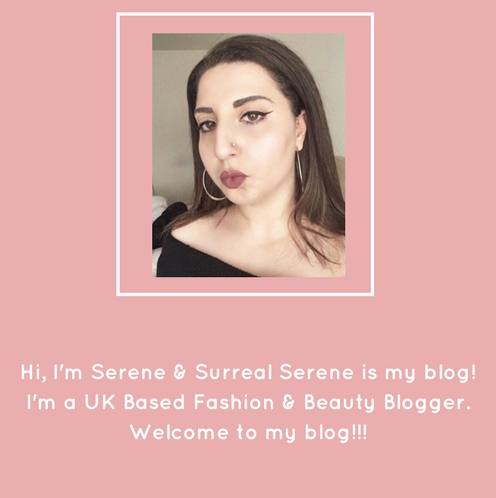 I am beyond excited to share with all you lovelies my recent Makeup Brand find, Bossy Cosmetics! 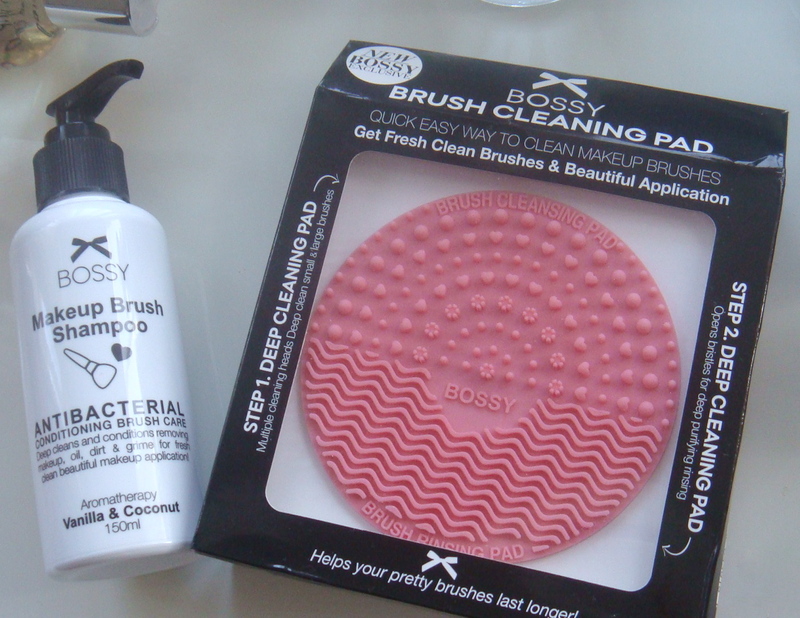 I was sent a lovely Makeup brush cleansing pad & Antibacterial Brush cleansing shampoo kit to try out! Cleaning your Brushes is definitely an important weekly routine that all Makeup brush users will have to do, and so, I believe investing in a great makeup brush cleansing kit will definitely save you money in the future! It will at least save you having to replace brushes because your old ones start to shed & are full of bacteria!!! 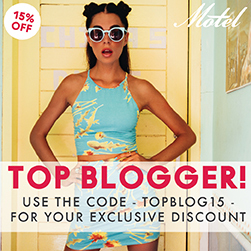 Bossy Cosmetics, is a fun, & affordable Makeup Brand from New Zealand founded by Stephanie Peacocke. 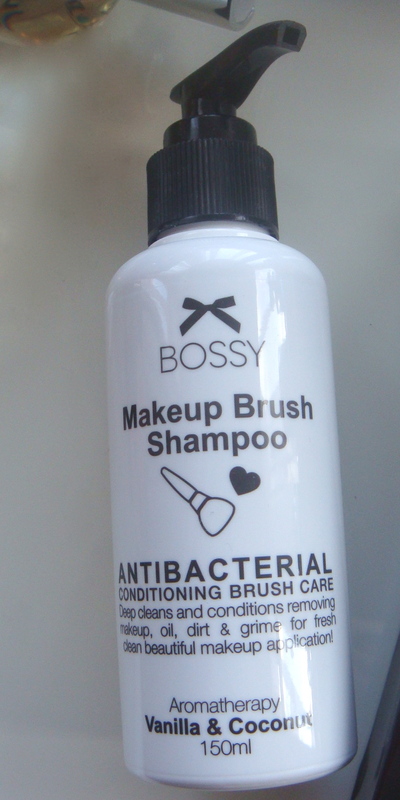 The Bossy Cosmetics brand provide makeup products that are of high quality & that are beautifully packaged from the actual makeup to their girly packaging designs. 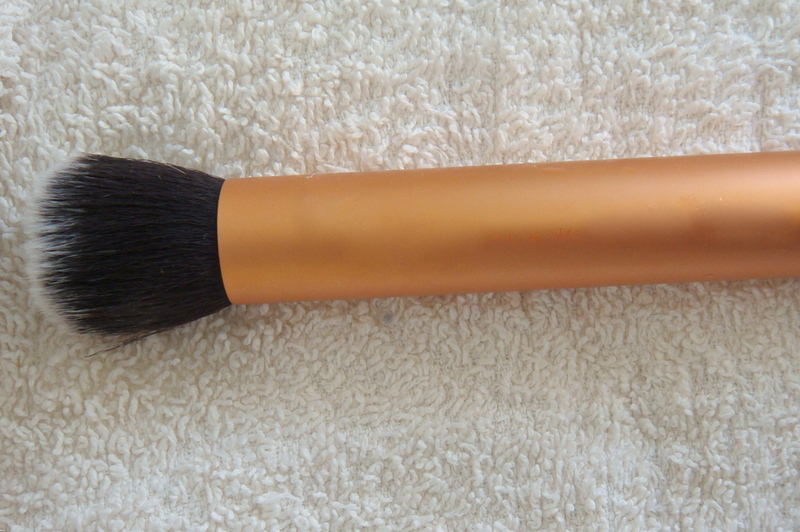 The Makeup Brush shampoo is lightly scented, with the notes of Vanilla & Coconut seeping through. Through Trialling the lovely shampoo ( which I will talk about later in the Howto section) I’ve found that the scented shampoo leaves your brushes with a fresh after smell. A definite plus of mine. So the shampoo is essentially cleaning out all the Bacteria, & grime out of your Makeup Brushes & leaving the smell of freshness on your brushes ready for you to use again! The Shampoo comes in a 150ML Bottle with a pump. I love the idea of the pump as it will allow you to pump out just enough shampoo in one pumping without having to overuse the product. However, this being said I was a little disappointed with the fact that the Brush Shampoo does not come with a lid, nor does the pump have the option to alternate between open & close. This is a little disappointing as you risk the chance of your shampoo drying up & bacteria gathering around the shampoo! Here is the swatch for the Shampoo! 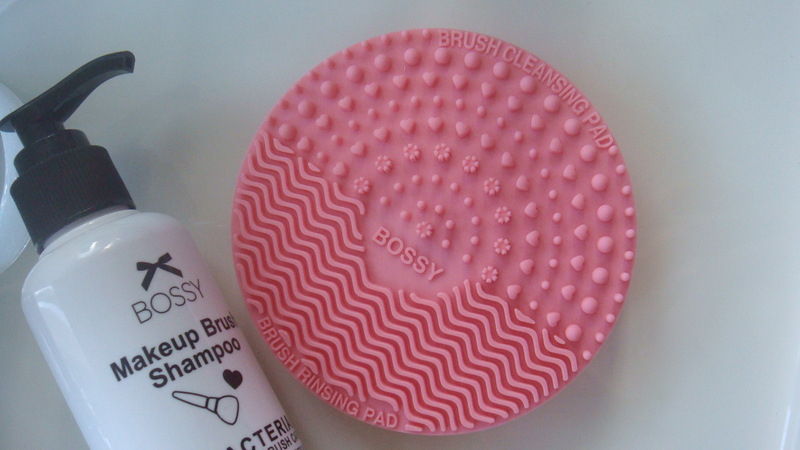 The Makeup Brush cleansing pad is the star product of the cleansing kit! 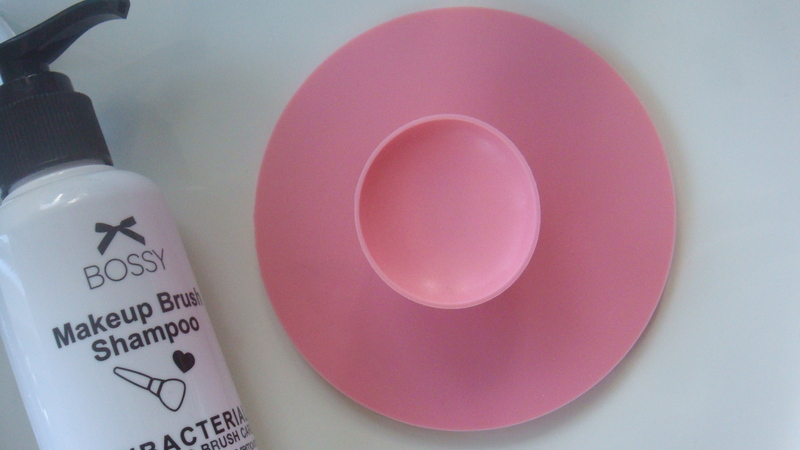 The circular Silicone cleansing pad has 2 sections & a cleansing section & a rinsing section. This product is a genius product (If I do say so myself)!!! What is perfect about the cleansing pad is that it features a carefully sized amount of nodules & grooves to help remove all the dirt, oil & bacteria out of your brushes without ruining your brushes!!! The gently rub through the brush hairs without causing shedding. The back of the cleansing pad includes a handle, so that you can grab hold of the cleansing pad with ease whilst you’re holding the brush in the other hand to cleanse! The Handle is also spectacular as it features a suctioned end. 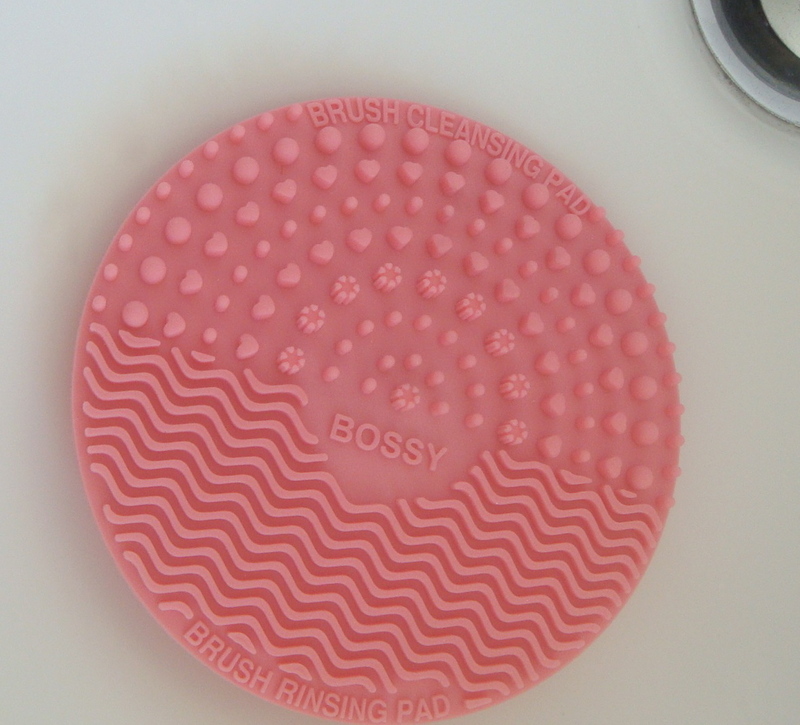 This way you can place it in the sink to drain in between cleansing brushes! I’ve used the suctioned end to place the cleansing pad into the sink to clean my brushes with one hand free to adjust the water temperature! I’ve demonstrated below on two brush types (Larger brush head, smaller (thinner Brush head) to show you that this cleansing kit is perfect for any makeup brush head size! 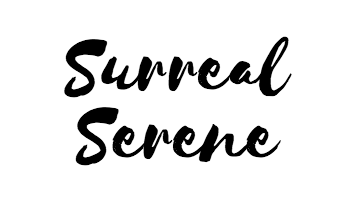 I’m cleansing my Real Techniques – Contour Brush for this! 1) Rinse your brush with Lukewarm water. 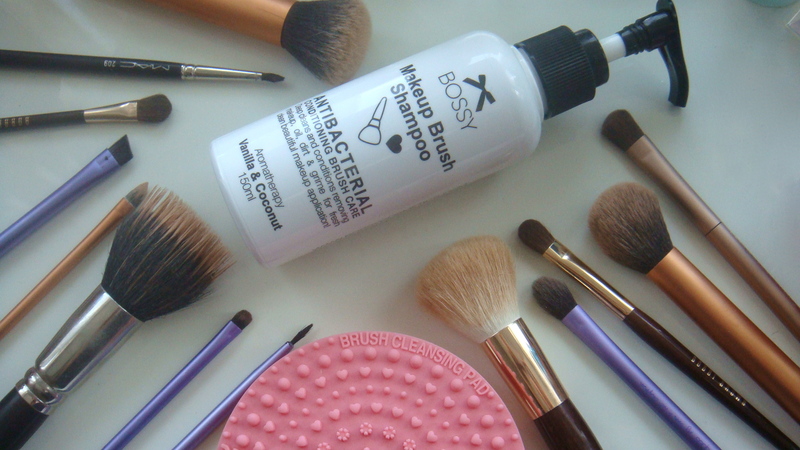 2) Add the Antibacterial Makeup brush shampoo onto the cleansing section of the cleansing pad! 3) Place your brush on the cleansing part of the brush and begin to blend in with the shampoo in circular motions along the nodules of the cleansing section to clean away the oil & grime from your brushes! 4) Place your brush on the rinse section of your cleansing pad & run it under Lukewarm water! 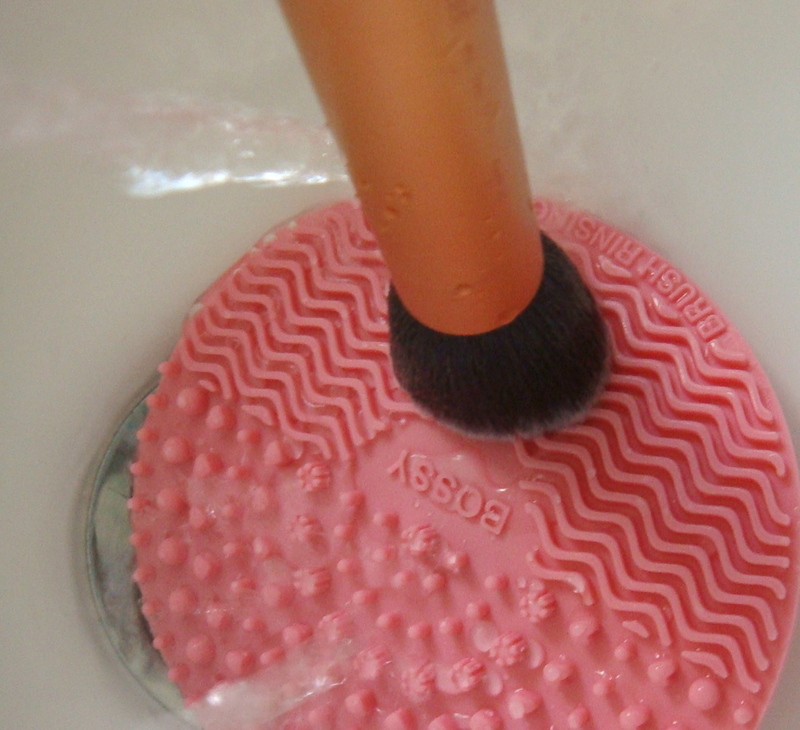 The groove in the rinse section will wash away all the shampoo & cleanse out your brushes! 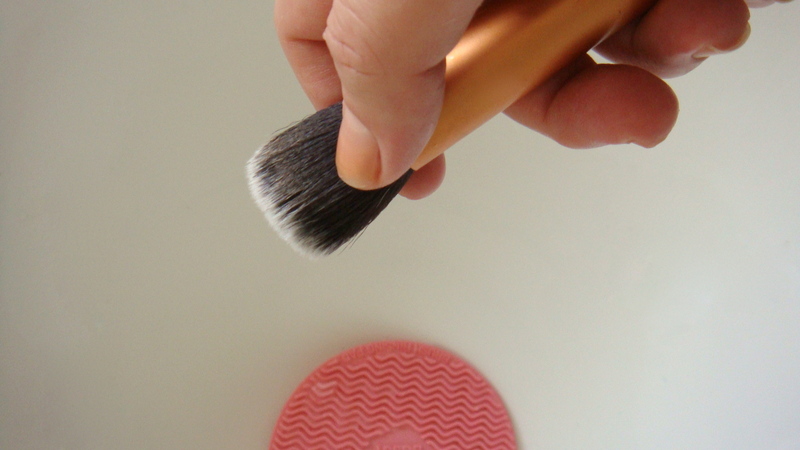 5) Shape your brushes and remove excess water out of the brush & place on a towel to dry! * Always make sure you dry your brushes downwards or at an angle facing downwards to prevent water seeping through the brush. Water seeping through the brush may lead to your brushes not working properly in the future & even can cause shedding! 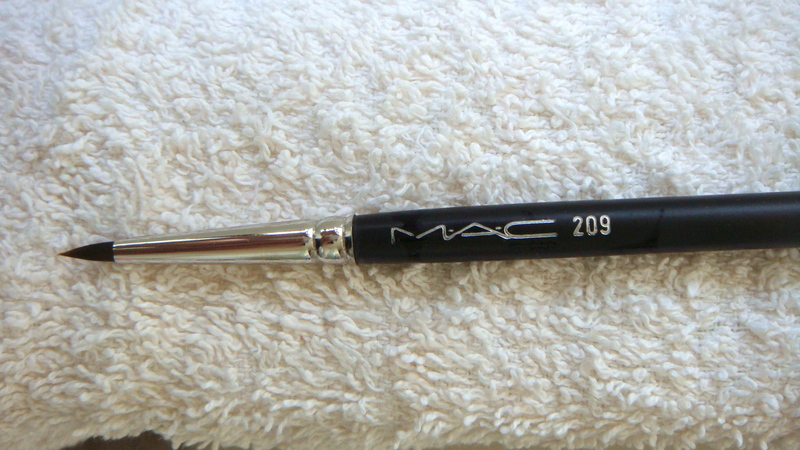 I’ve repeated the steps above using my Mac – 209 Eyeliner brush to demonstrate that you can use any sized brush head on the nodules / grooves of the cleansing pad to get en even clean! Heres a Step by Step to show you how simple it is to clean out your brushes! 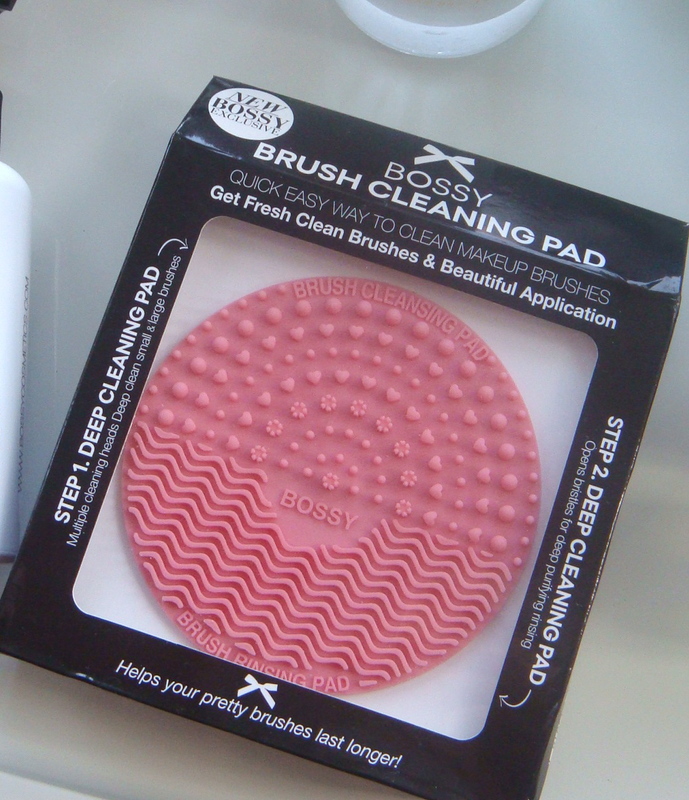 I hope you’ve enjoyed my |BOSSY COSMETICS| Makeup Brush Cleansing Kit REVIEW Blogpost!!! 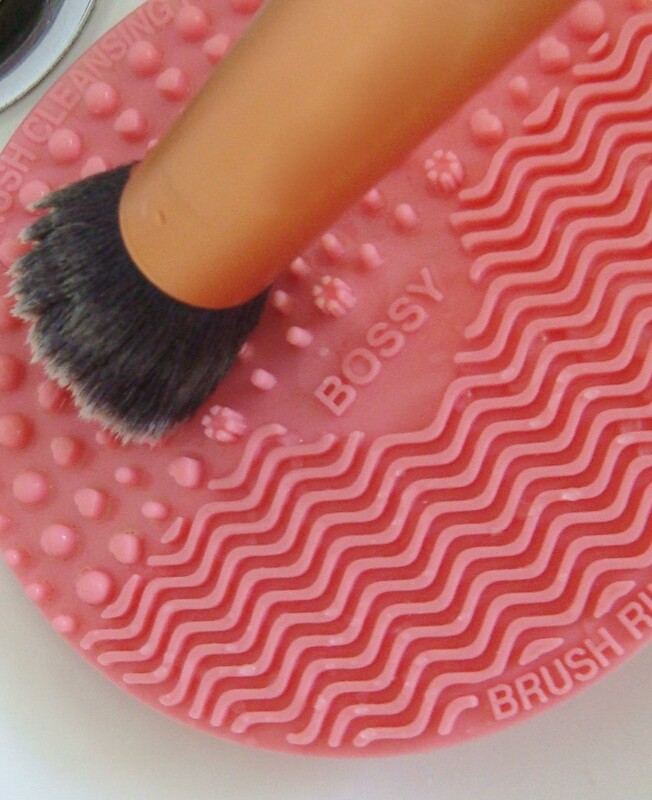 Have you used any Bossy Cosmetics products before? & are there any other Makeup brands from New Zealand that you would like me to review? Previous:|MAC| Fix+ Makeup Finishing Spray & In Extreme Dimension Lash Mascara REVIEW! This sounds awesome! Thanks for the reminder too, I really need to clean my brushes 😀 Happy Friday! No, I haven’t used these products before but I must say they seem very practical and useful! Love this post! Defiantly given me some inspo not to be so lazy with makeup brush washing! Very detailed review ! I didn’t know anything about this brand, but this kit looks very handy! I didn’t know the brand, but it looks great to clean your brushes. I love the look of that pad, it’s so tricky sometimes cleaning brushes and I bet the pad makes life so much easier. I never clean my makeup brushes as often as I should. I know its bad but maybe investing in a kit so its not such a faff is the answer! I hope you’re having a great time lovely! Hehehe it really is amazing! 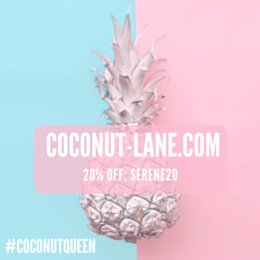 You definitely have to try it 💋❤️ xoxoox 🙂 & you’re welcome Lovely!! !